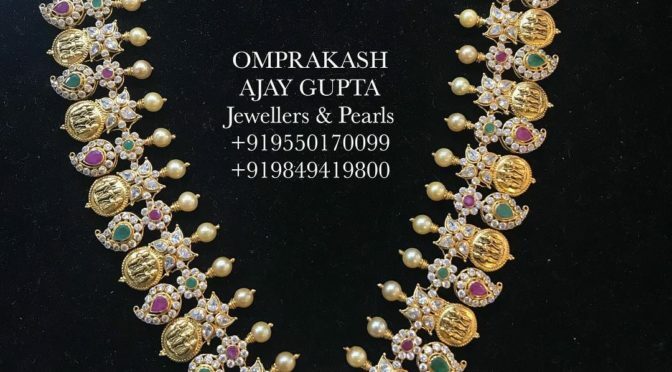 22 carat ram parivar kasu and mango haram studded with rubies, emeralds and uncut diamonds with a peacock pendant adored with pearls from Omprakash jewelers. 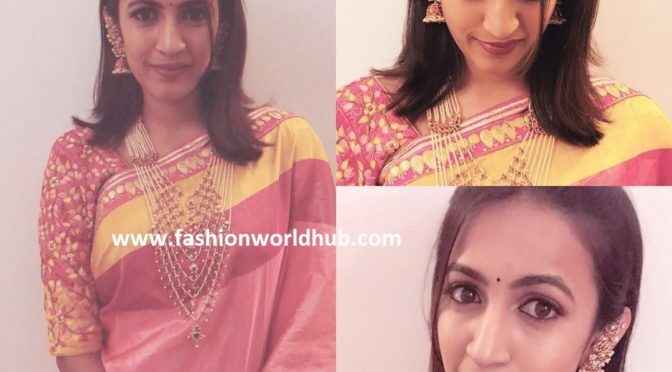 Niharika Konidela for one of the recent event she wore a traditional silk saree and she finished her look with sathlada pearl haram paired with ear covering ruby pearl jhumkas. 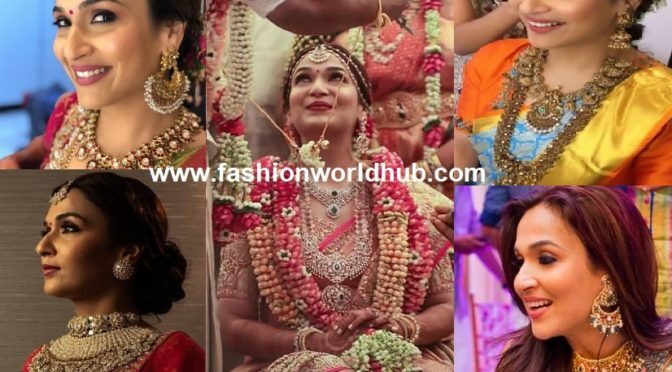 Sridevi Vijaykumar and Pritha Hari attended soundarya rajinikanth pre wedding! 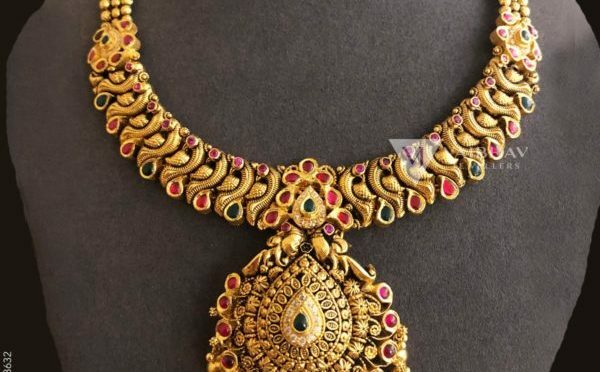 Sridevi vijaykumar was seen in kasu haram paired with matching ear rings and nose ring and her sister pritha hari was seen in antique jewellery. 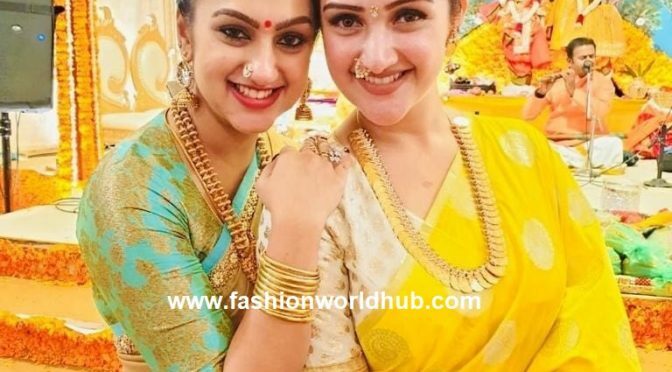 Both the lovely sisters looked good!